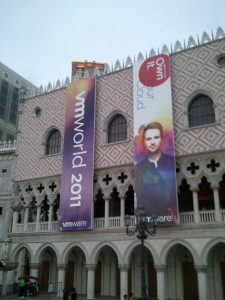 it’s been 7 years since I have joined my first #VMworld in Las Vegas. Therefore I am some kind of alumni. Who was I in 2011 when I have been at my first VMworld in Las Vegas?! I was a certified instructor and student within the Information System field spending 6 months abroad in Atlanta. 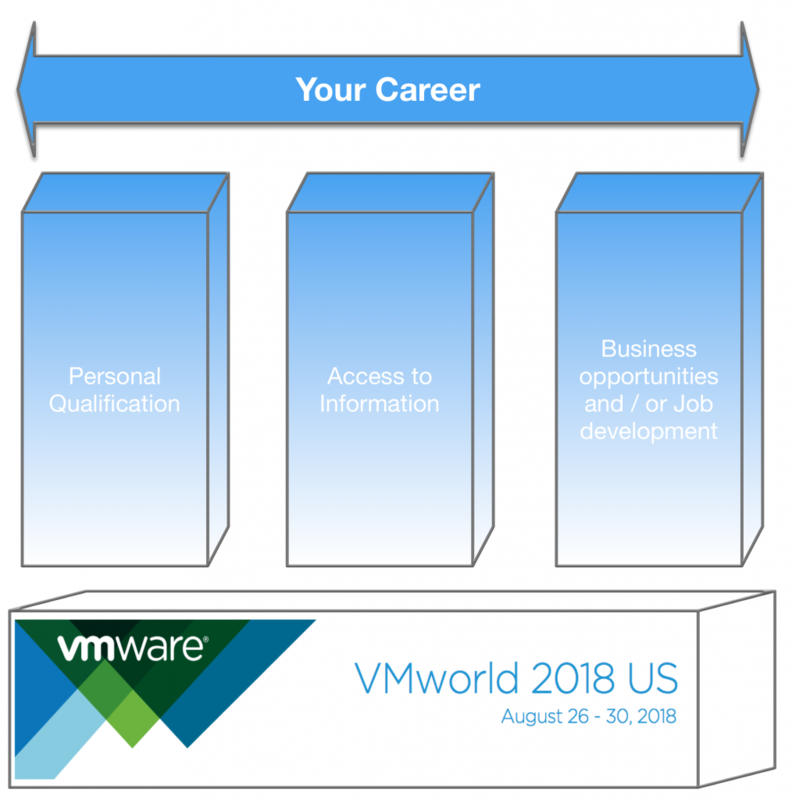 I was so f****** (I guess that means freaking) excited about visiting Las Vegas / VMworld and I was not anyway prepared about what I can expect. During this time I was young, knowledge-thirsty, no scars in the face and I filled my complete schedule with breakout-sessions, breakout-sessions, breakout-sessions. I thought visiting a form of a lecture is what’s bringing me the benefit. It certainly is, but only up to a certain point. I took a while for myself that in the IT-field it’s all about people, especially in the [kidding]VM(ware)world [/kidding]. The ecosystem is growing, growing and growing. VMware has outgrown from a pure virtualization vendor to an enterprise that offers nearly every datacenter and end-user computing relevant software. Keeping an overview in this world is very very difficult. VMworld is definitely the place to be for sucessfully staying on or maybe even ahead of the curve. I have met for the first time my friends and professional partners of comdivision, where I have get connected to other formal and informal #vExperts, where I have had chats and talks with different interesting persons from all kind of cultures. Anyway it seems my writing-flash is getting me off the road. Meeting/Connecting/Drinking/Eating or in business-talk: Connecting with people who love the datacenter field is such a great selling point of yourself. If you are passionate about something and you give something to others (blogs, tweets, vBeers or a simple thank you) there will come the day that you will get something back from them. If you are not good in breaking the ice (I know what I am talking about), always remember: ‘what happens in Vegas….’. Use VMworld to find new friends. The Solutions Exchange is a great chance to get in-touch with the overall ecosystem in our software-defined datacenter. Seek for a discussion with the people at the booth. I know, sometimes they cannot give you the level of information you want to have, therefore try to figure out which product might interest you and schedule an appointment with a specific person to discuss your needs and ideas. Many of the breakout-sessions are really really good. Remember: many Gin Tonic’s are good as well, but if you get too many …. you might know what I mean. Select your breakout session wisely. Remember that with a VMworld ticket you can access all breakout sessions later on (even though most of the session will get public-accessible after a longer-term). Check out William Lam’s fantastic collection of all direct-links to last years VMworld sessions. But hey: don’t think now you have everything you need. I am pretty sure there is a lot of great/new stuff is coming this year. Check the vBrownbag booth. Many of the people in our field would love to share their knowledge during #VMworld. Unfortunately their session is not getting accepted for political, technical or whatever reasons :) -> Check the vBrownbag booth to listen and learn from other experts in the field. Send in your own proposal or just learn from the others in small community-agnostic way. Meet the experts: VMworld will have a very high density of Experts. Try to make appointments to talk about certain problems, wishes, design/product-questions you have. Connect with people in advance. Go on twitter, figure out what’s going on in Vegas. Organize or join those public meetings & events. Figure out what the vendors/community-members are sponsoring in the evening. The VMworld party is NOT the only event in the evening. Make sure that you register early for those late-night events. Do not miss the chance to talk to the presenter after the session or try to use twitter to figure out where us geeks meet after-hours. If you feel lonely in Vegas…. join the Hackathon. To be honest I haven’t done that so far :P (Too many meetings and appointements), but I have seen on social media and heard from people who joined it. It must have been a fantastic experience to easily get together with very very smart people. Even though small amount of time (and minor technical challenges) are not allowing to create a new hypervisor, people loved this event. I am really trying to join it this year -> Maybe there is a team/project where I can add some positive vibes to. Come back in your daily job with new ideas. I discovered that multiple times. Many of us know a lot of things, but over the years or during specific problem-solving tasks you end up in a very specific situation based on initial assumptions. Assumptions that might have been changed by newer technologies, methodologies, smart peoples words, etc. Getting together with thousands of other smart people will definitely give you a better chance to open the box of your mind. Find business and job opportunities: Not a solid argument to convince your boss, but the opportunities within the SDDC and cloud era are big. New opportunities will come up outside and inside your company. To be able to recognize the opportunities you need to have a feeling for the market and environment. I realized during last VMworlds that this is the perfect location to develop such a feeling. I could extent this list easily, but for now this should be good ;-). I am really looking forward to visit this event and so should you. Why do people think VMworld isn’t that good anymore? I think this is related to the fact that the community is doing such a good job. If you are a very deep within the VMware sphere, you know how to get deep-dive information. People like Cormac Hogan, Alan Renouf, Duncan Epping, Steve Flanders, Brian Graf, William Lam, Luc Dekens (and many many many more) are giving us technical product insights for free over their blogs. If you follow, read and understand all of it, it is tough to discover much new content during such conferences. But that’s how it always is in life, isn’t it? If you can do everything on your own you don’t need anyone else. But is that they way you want to spent your professional life? Is that the maximum out of your potential? There are so many other aspects, methodologies, technologies you can use to bring your career to the next level. And I know that going to #VMworld this year will definitely bring me one step closer to become a better expert. Virtualization is commodity? Maybe: But VMware on AWS, Cloud Management solutions and the whole EUC products are offering more than enough potential disruptions for the future. In the end it was easy for me to decide if I should go again to #VMworld. I watched the video I created last year and was totally in a mood to get back to Las Vegas. and don’t miss to register soon so you can get the early-bird price.